Women leaders from Uganda and the Carteret Islands in the South Pacific gave first-hand accounts of their communities’ experience of climate change in Dublin this week. Constance Okollet and Ursula Rakova of Climate Wise Women, a global initiative to promote women’s leadership on climate change, were joined by Foundation President, Mary Robinson and Jim Clarken, CEO of Oxfam Ireland, for a panel discussion on Tuesday 12th April. Women leaders on Climate Justice: a Grassroots Perspective was hosted by the Foundation and Oxfam in Trinity College Dublin. Ursula Rakova Executive Director of Tuele Peisa of the Cartaret Islands of the South Pacific described the urgent situation facing her community. The islands have experienced unprecedented high tides which have rapidly covered the land, destroying the soil for food production. Ursula explained how arrangements are being made to evacuate the 1,500 islanders to Bougainville, a larger island that is part of Papua New Guinea. She explained how the community has been pro-active in meeting the challenge and described the delicate process of negotiating with the communities on Bougainville for land and, just as essential, the acceptance of her people within the new community. Ursula told the audience climate change has played a major role in the situation facing her community and said it is “the central poverty issue of our time, where we see the world’s most vulnerable facing greater droughts, floods, hunger and disease, despite being the least responsible for causing climate change”. 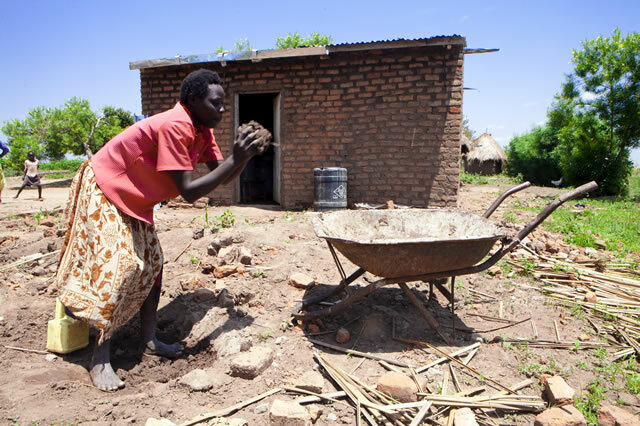 Constance Okollet, Chairperson of the Osukura United Women Network in Eastern Uganda said there have been dramatic changes in climate in her region of Uganda since 2006. Extreme cycles of drought and rain have made it impossible to grow traditional crops. Constance said this has threatened the food security of the community and limited their ability to earn a living. Death by drowning, starvation or disease and disruption to children’s education are some of the other impacts the community has experienced. Constance said initially her community had thought the changes were a result of “God’s displeasure with them” but later came to understand they were in fact caused by man. President of the Foundation, Mary Robinson, said that by focusing on the human dimension of climate change “we see the effects of the problem differently and we then approach the solutions differently”. She said “giving voice to the experiences of these women, allowing them to bear witness to their experiences can influence policy outcomes and instruments of adaptation”.